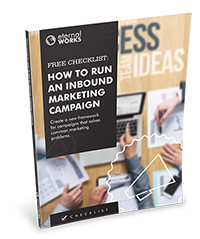 Inbound marketing is a systematic approach to attract more of your ideal customers and covert them into leads. This process uses the most effective white hat marketing practices to attract, convert, close and delight customers. Inbound has been the leading marketing method since 2006. It is the best way to market your business today. We all want more visitors to our site. But, wouldn't it be nice to get more of the visitors you like? You know, the ones that become your ideal customers. It's not impossible you know. By creating the content they love and delivering it to them at the right time, you can attract more of the visitors you want. As an inbound agency we can help you identify your ideal customers and develop a strategy to attract more of them. Everyone knows that it's not just about more visitors to your website. Zero percent of a million is still zero. The goal is to increase your online lead conversions, right? Right! So how do we do this? For starters making sure that your site is optimized for conversions. Second making sure we create content that is irresistible to your ideal customers. We're not strangers to conversion optimization or creating premium content that visitors want. This is the same strategy we use to generate our own leads. We're drinking what we're selling and it tastes great! So you've got some leads... now what? It's time to reel them in, but just like a fish on the line you gotta finesse it a bit. If you go too fast you may scare them off; too slow and you'll miss the opportunity to bring them in. Just like fishing; to close a lead your timing has to be right. You need an automated process that knows when to deliver what content to each lead. We can help you tackle this. We're sitting beach side with a cooler full of fish. We have the bait, we have the lures, we know the water. We'll tell you when to pull the line. Word. Of mouth that is! Nothing converts better than someone excitedly telling someone else how amazing your product or service is. It's also one of the most challenging things to get people to do. What if you could systematically turn your customers into promoters of your business? A great company, like yours, knows that the sale doesn't end at the close of the deal. It continues even beyond when the product is delivered. There is a recipe for success and we'll help you cook it up.